Conceptual framework -Coherent set of rules and standards for comparability and consistency. On the other hand, Conceptual frameworks are a type of intermediate theory that have the potential to connect to all aspects of inquiry (e.g., problem definition, purpose, literature review, methodology, data collection and analysis). Conceptual frameworks act like maps that give coherence to empirical inquiry. The frameworks are linked to particular research purposes (exploration, description, gauging, decision making and explanation/prediction). When purpose and framework are aligned other aspects of empirical research such as choice of methodology (survey, interviews, analysis of existing data, direct observation, focus groups etc) and type of statistical technique become obvious. B. Assist the FASB in standard setting by providing a basis for developing new and revised standards. C. Provide a description of current practice and a frame of reference for new issues. D. Assist accountants and others in selecting between acceptable accounting alternatives. –As an aid in developing more useful, consistent standards. –As an aid in solving practical problems by reference to an existing framework of basic theory. 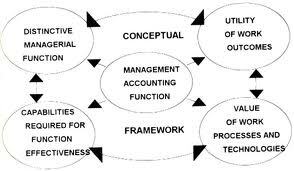 –In combination with good judgment, a sound body of theory will help accountants focus on logical and consistent solutions to accounting problems as they arise. SFAC No. 1. “Objectives of Financial Reporting by Business Enterprises” presents the goals and purposes of accounting. SFAC No. 2. “Qualitative Characteristics of Accounting Information” examines the characteristics that make accounting information useful. SFAC No. 6. “Elements of Financial Statements,” defines the broad classifications of items found in financial statements and replaces SFAC No. 3, expanding its scope to include not-for profit organizations. SFAC No. 4. “Objectives of Financial Reporting for Non business Organizations” provides guidelines for not-for-profit and governmental entities. – Fundamental recognition criteria on what should be incorporated into the financial statements. How Do Teaching Methods Differ?